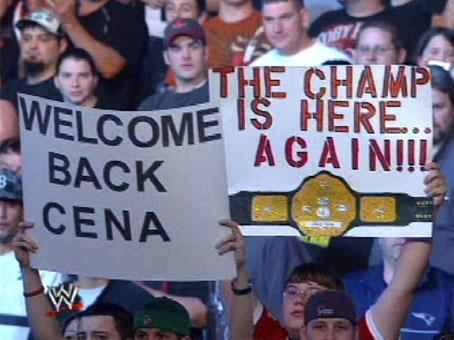 Huge ovation for John Cena in Boston. 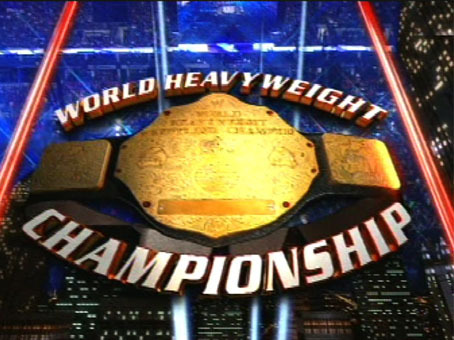 They did ring introductions for the challenger John Cena and the champion Chris Jericho. The bell rings and here we go. Cena circles Jericho, shoots in for an FU and Jericho quickly jumps off his back to the ring apron. Jericho enters the ring as a loud "CENA" chant starts up. Lock up and Jericho gets a headlock. Jericho with an arm drag while still keeping the headlock on. Jericho with a big shoulder block on Cena. 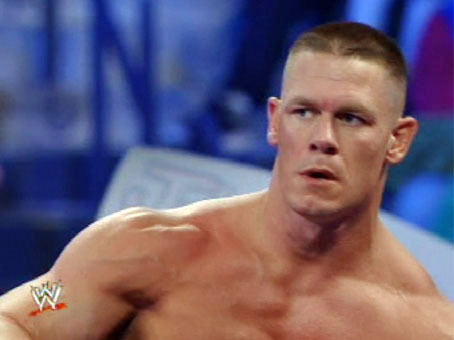 Cena quickly rolls out to regain composure. 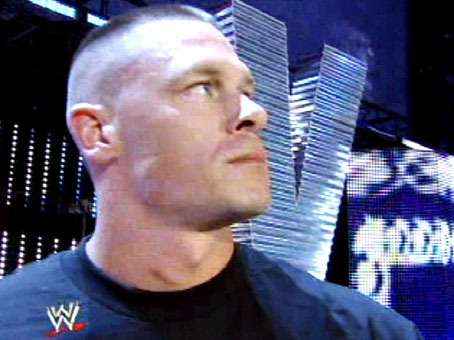 Cena walks up the steel steps and enters the ring quickly going after Jericho. Cena tackles Jericho and gets in some right hands. Cena throws Jericho to the corner, dodges a boot and hits a quick suplex. Cover and Jericho quickly kicks out. CENA FISHERMAN AND THE FIRST PINFALL ATTEMPT OF THE FIGHT! 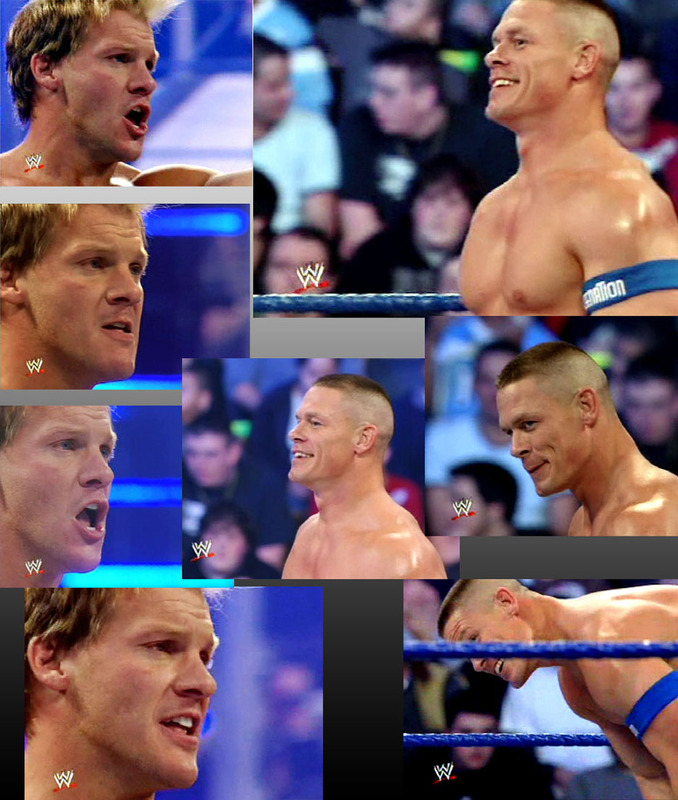 Cena with a drop toe hold on Jericho, attempts the STFU and Jericho squirms out to the corner as Cena backs up smiling! Jericho with a kick and forearm to the back of Cena. Jericho with some big right hands. Jericho with a kick to Cena's head. a big scoop slam and elbow drop on Jericho. Cover by Cena and Jericho kicks out after two. 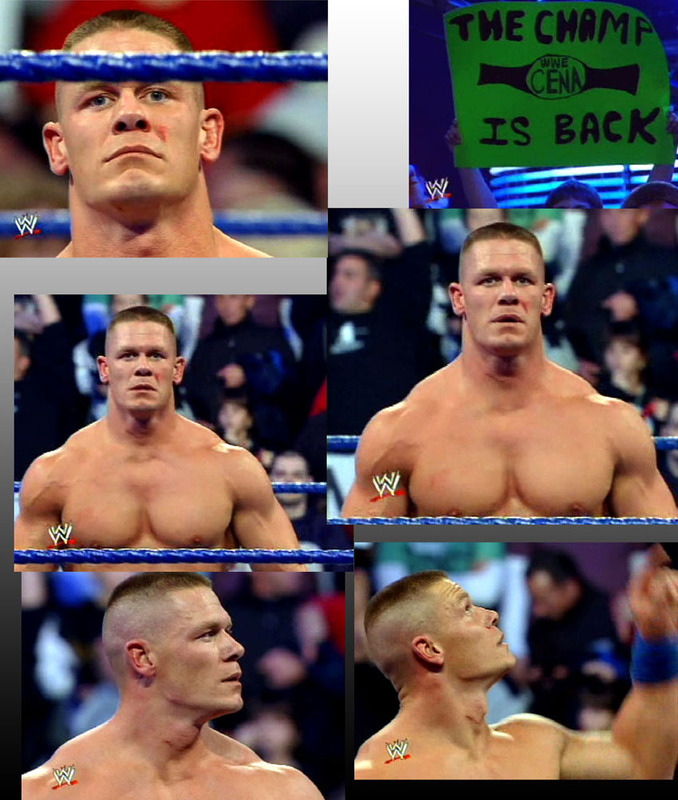 Jericho dodges a charge by Cena in the corner and Cena's head bounces off the turnbuckle. Cena with a kick to Jericho and a blockbuster off the ropes. 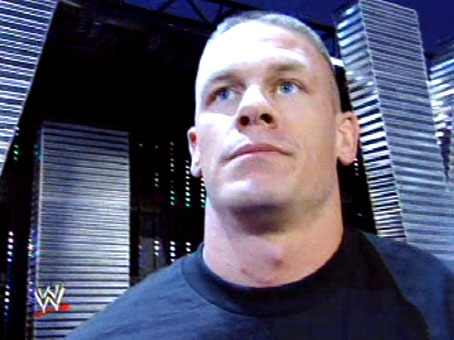 Cena goes up top, but second guesses himself and returns to the ring. +! 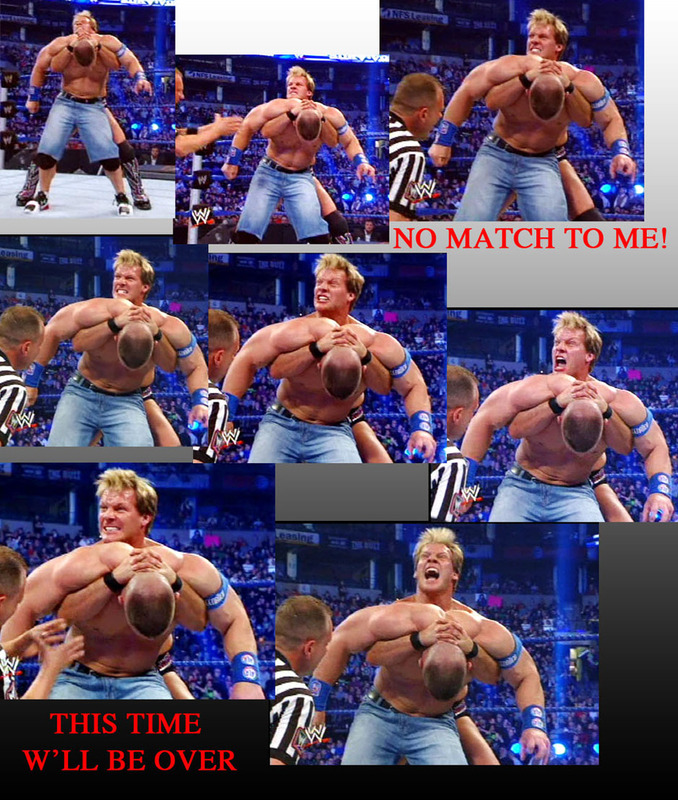 JERICHO KNOCKS DOWN JOHN CENA IN HIS "FULL NELSON FACE BUSTER FINISHER! CENA KO! Jericho cuts him off as he gets back in the ring and hits a double arm DDT. Cover by Jericho and Cena barely kicks out after two! CHRIS JERICHO'S KILLER KICKS KNOCKS DOWN AGAIN JOHN CENA! Jericho with a kick to the gut, leaves the ring, Cena's head is exposed under the bottom rope and Jericho kicks Cena's head into the steel ring post. 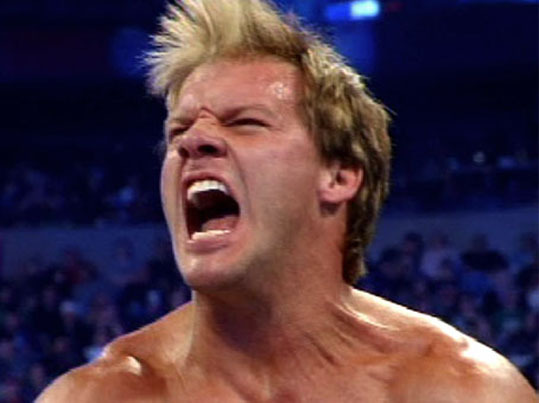 Jericho yells at the referee to check on him. 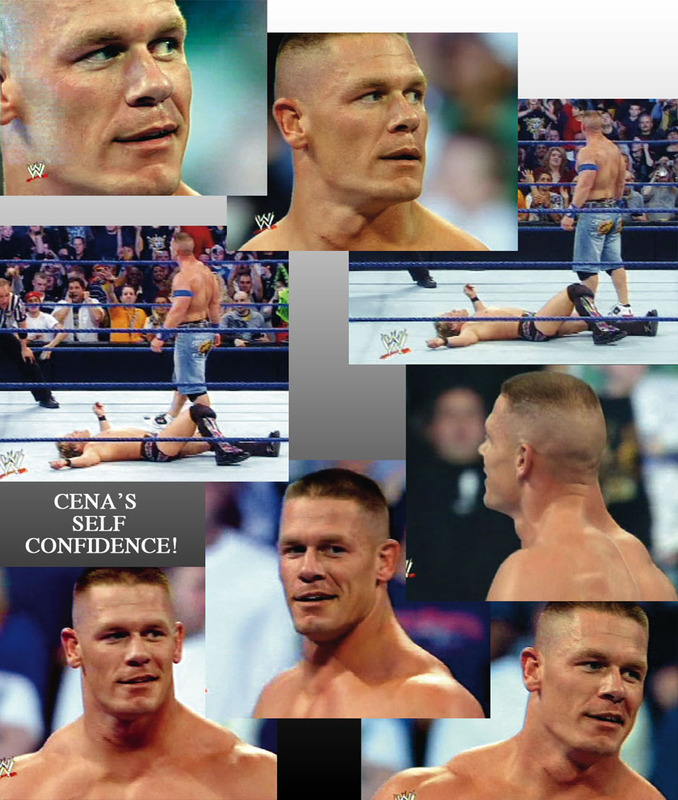 Jericho rolls back in the ring as the referee starts the ten count...Ar seven Cena is still lying liveless in the floor! 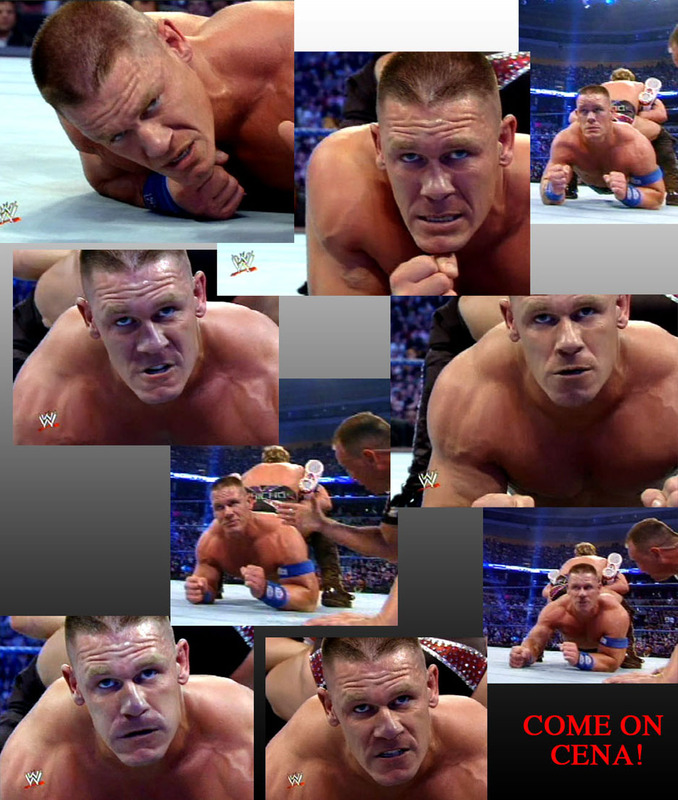 A FINISHER FULL NELSON DDT AND A KILLER TERRIFIC KICK ON JOHN CENA INJURED NECK AND CENA IS LYING LIVELESS ON THE FLOOR! 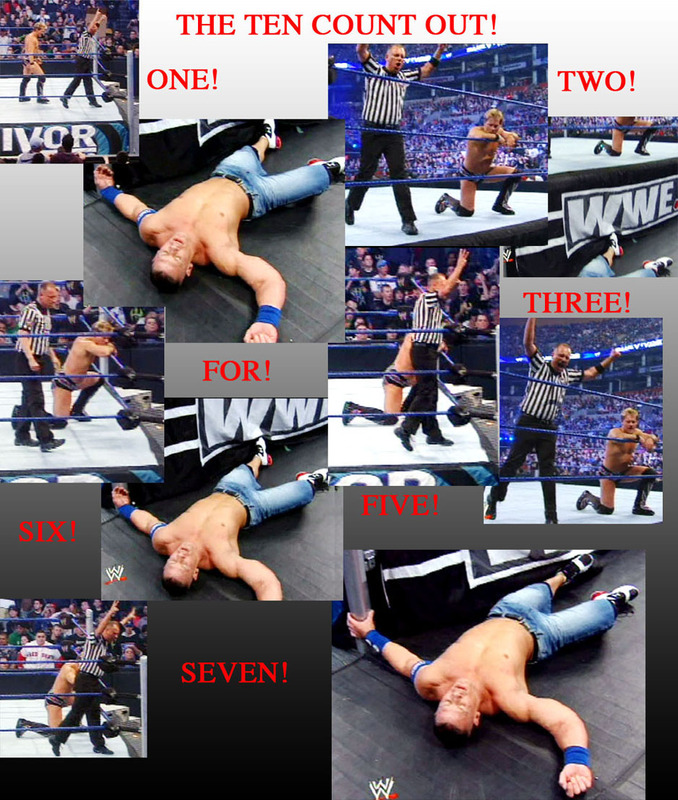 THE TEN COUNT BEGINS AND AT SEVEN CENA IS STILL LIFELESS ON THE FLOOR. 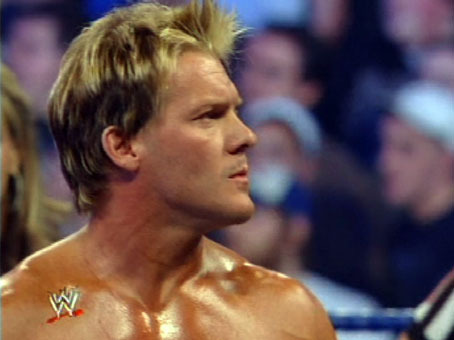 Jericho also comes out and hits a big dropkick to the face of Cena. Jericho then tosses Cena shoulder first into the steel ring steps. 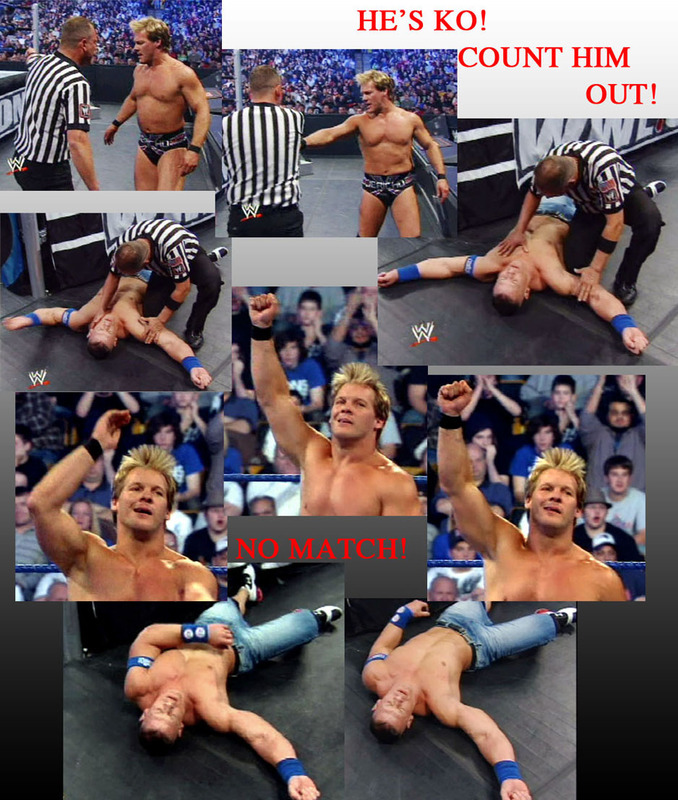 Jericho rolls back into the ring and out to break the referee count. Jericho tosses Cena back in the ring, cover and Cena kicks out after a close two count. Jericho then starts working on the neck of Cena. Jericho again counters Cena when Cena hits the ropes and attempts a flying shoulder block. 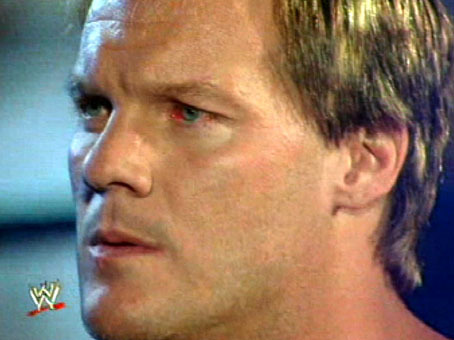 Jericho covers again Cena for a nearfall! 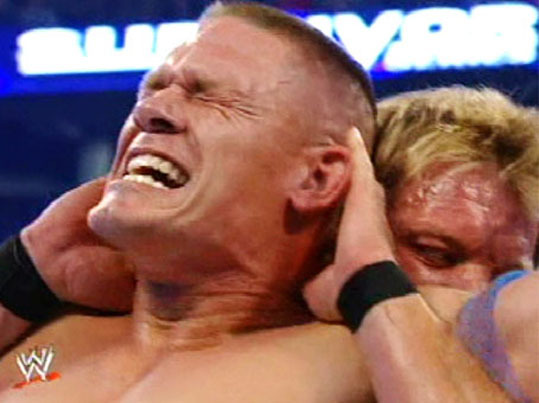 Jericho applies a full nelson on Cena. 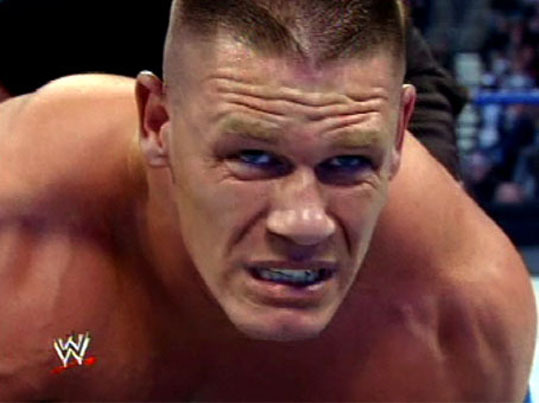 Cena starts to fade. Cena once again gets to his feet, breaks the full nelson, right hand, kick from Jericho, Cena counters a bulldog from Jericho and sends Jericho right into the corner! 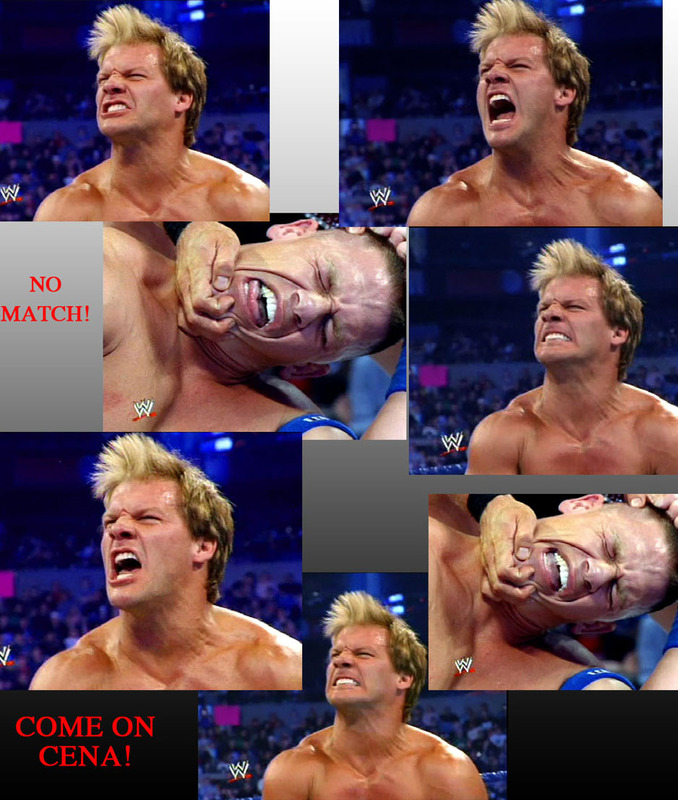 Jericho counters a five knuckle shuffle attempt and gets the Jericho's Liontamer locked on. 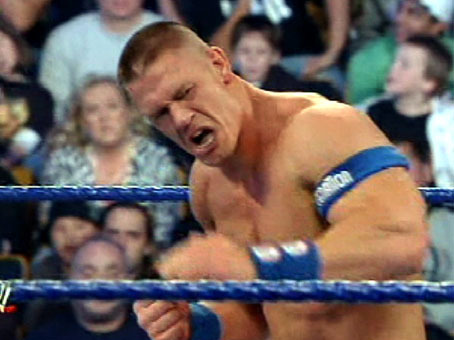 Cena reverses it and holds his neck in pain. Jericho goes for the Walls of Jericho again and gets it locked in. Cena screams out in pain. 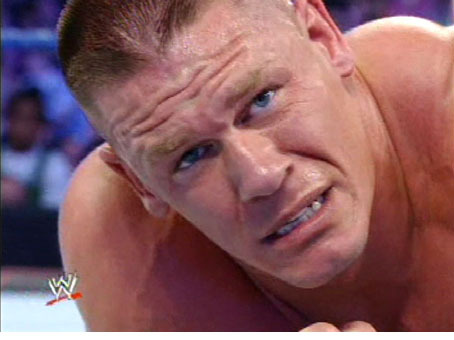 Cena then tries to move his way towards the ropes. Cena reaches and gets the bottom rope. The referee breaks it up. 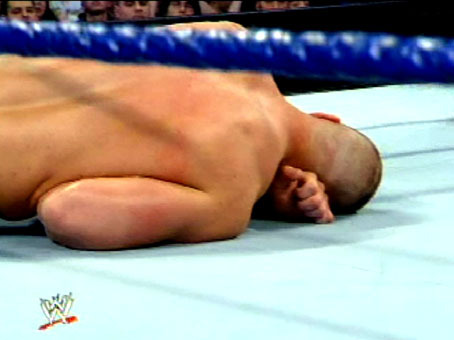 JOHN CENA BREAKS OUT THE WALLS OF JERICHO BUT IS LAYING ON THE MAT HIS LAW OF THE BACK IN PAIN! 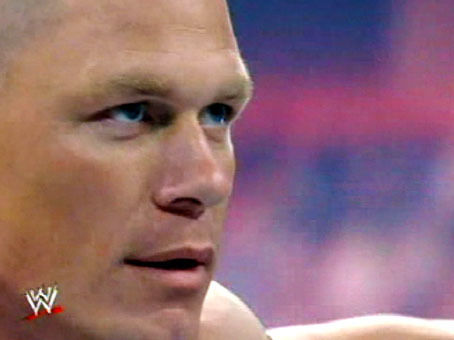 JOHN CENA HAS BEEN OUT THE RING FOR MORE THAN THREE MONTHS! WILL HE BE ABLE TO TURN THE TABLE OVER A CHAMP CHRIS JERICHO AT THE TOP OF HIS SHAPE WHO SEEMS DOMINATE HIM BY HIS SKILL AND STAMINA! JOHN CENA THE LAW OF THE BACK BROKEN IN THE WALLS OF JERICHO SEEMS TO HAVE DIFFICULTIES TO GET UP AND RESUME THE FIGHT. UNABLE TO MAKE CENA SUBMIT IN HIS KILLER BOSTON CRAB A FRUSTRATED JERICHO IS PREPARING A LAST SUBMISSION HOLD TO DOWN DEFINITIVELY HIS CHALLENGER! Jericho charges at Cena and Cena connects with the FU. 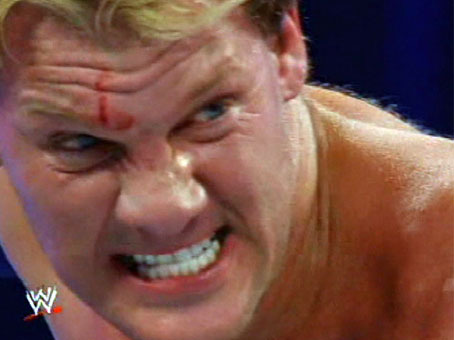 Cena crawls over, hooks the leg and Jericho kicks out after two! 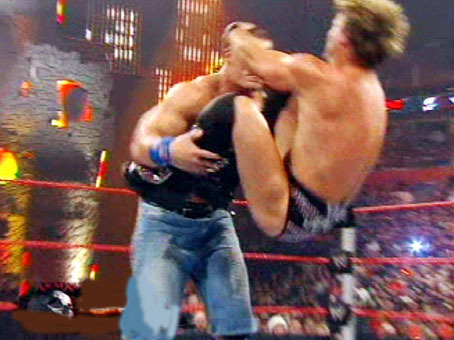 Cena charges at Jericho in the corner, but Jericho gets an elbow up and Cena falls back. Jericho pulls Cena up onto the top turnbuckle with him. Jericho lands a big right hand and headbutts on Cena. Cena fights back with some lefts and tosses Jericho off the top to the mat below. Cena stands up tall on the turnbuckle, jumps and connects with a big leg drop. 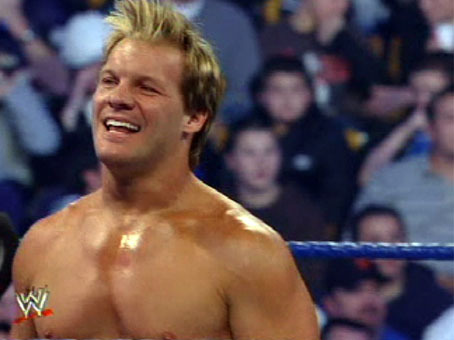 Jericho hits his killer Codebreaker. 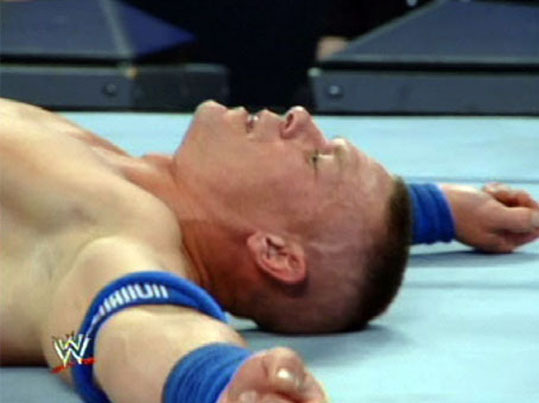 Jericho crawls over, hooks the leg and Cena barely gets a shoulder up after two. 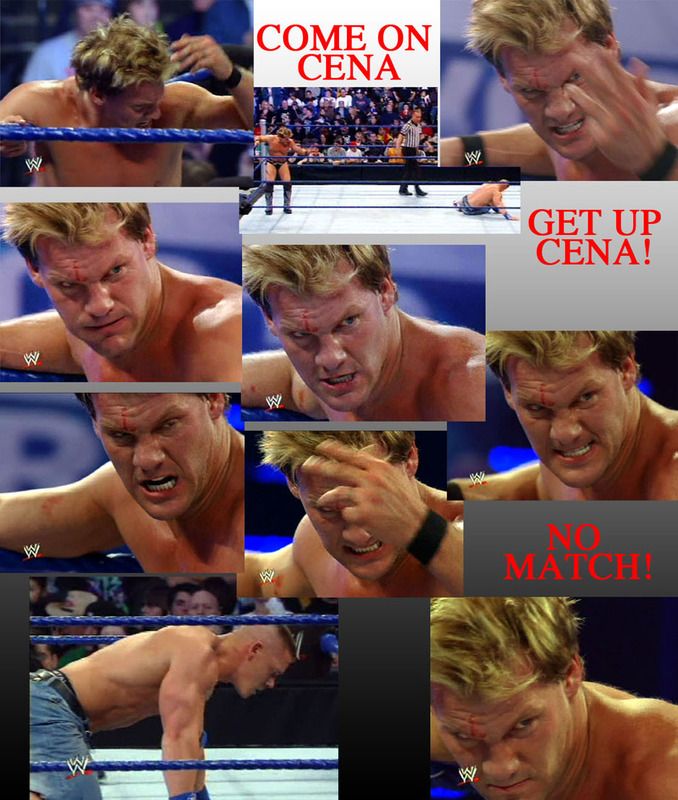 Jericho yells at Cena to get up. Jericho levels Cena with a big clothesline. Jericho continues to yell at Cena on the mat telling him to get up. Cena is up and Jericho levels him with another powerful clothesline. Cena breaks it, pulls Jericho back out to the middle, but Jericho catches him with a kick. Jericho attempts a roll up! Cena counters out, then with a breattaking demonstration of strength, lifts Jericho up onto his shoulders! Cena hits an FU, hooks the leg and gets the pinfall. AFTER MORE THAN 1 YEAR OF PENANCE JOHN CENA AFTER TWO SEVERE INJURIES, A SUCCESSION OF BIG PPV DEFEATS AGAINST THE TOP WWE'S WRESTLERS RENEWS WITH VICTORY AND GAIN FOR THE FIRST TIME THE WWE HEAVY WEIGHT CHAMPIONSHIP BELT!